Today ONLY - Amazon is offering 40% Off Select Puzles & Crafts from T.S. Shure! Head over and choose your favorites! Now this is alot of fun! 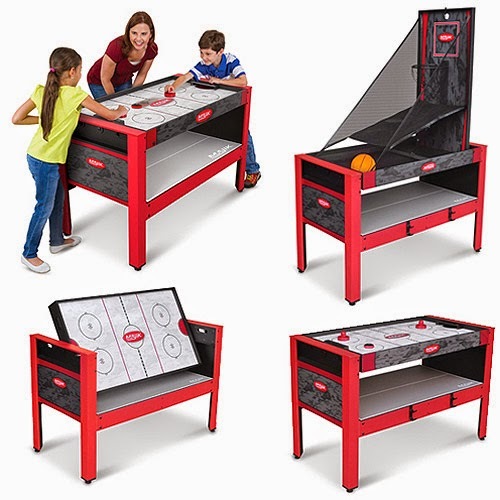 Check out this Majik 48" 5 in 1 Swivel Table for $59 (Retail $139.99)! YAY! I'm so glad to see this deal back today as I just ran out from getting these last year. Today ONLY - get Duracell Battery Quantum Alkaline AA, 24/Pack for $8.99 (Retail $25.99)! -Our most advanced and longest lasting alkaline battery ever. -More active ingredient packed into Quantum's HI-DENSITY CORE(tm) produces more power. -Improved Powercheck(tm) allows you to see remaining power at the press of a button. I just grabbed mine and had shipped to store to avoid shipping fees. WooHoo! 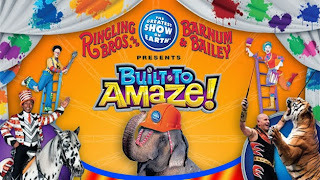 The Ringling Bros. and Barnum & Bailey® Presents Built To Amaze! is coming to the Landers Center in Southaven, MS April 17-19, 2015. I am not sure where seats will be for this deal, but have always been pleased with seating I've received from other show deals from Get My Perks. For a limited time, pay only $10 (Retail $20) for tickets to the Opening Night show Friday, April 17th at 7pm with today's Get My Perks deal. But hurry as these sold out fast last time. •Experience all the things you know and love and be amazed by things you’ve never seen before! *Fine Print*: Expires 4/19/15. Does not apply to VIP floor seats. Vouchers can be exchanged for tickets at the Landers Center box office in advance or at showtime. Valid only for April 17-19 showtimes at the Landers Center. No cash back, no cash value. Upon checkout, please choose whether you would like your tickets mailed or if you would prefer to pick them up at the Get My PERKS office, 1835 Moriah Woods Blvd., Suite 1, Memphis, TN 38117. Call Get My PERKS at 901-384-5888 if you have any questions. Right now you can get this LEGO Creator Toy and Grocery Shop for ONLY $31.99 (Retail $39.99)!